I can hardly believe its March already. My body feels like it has bean in a car crash, everywhere hurts. I don't know if its the infection or the dreaded RSD that is flaring up. I have decided to go back to the doctors as I am no better, now my eye is sore and red with what looks like little ulcers on the bottom lid and corners. The doctors verdict is I have still have the chest infection, my eye is also infected. I have bean given more tablets for chest infection CLARITHROMYCIN they are a lot stronger and should clear it. My doctor said it is kill or cure, if they don't work he will shoot me. I think he was joking, however at times it seems like a good idea. Also antibiotic drops for my eye CHLORAMPHENICOL. He said I will feel a different person very soon. I told him about my pain and sensitivity he does not know much about RSD but thinks it has been upset. I said it certainly has. Back in a week if there's no improvement. Physio-Wietse was not feeling his usual crazy self, he thinks I have given him the virus or what ever I have got. Usual needles plus an extra one in the middle of the top of my head. I told him about the extra pain and he agrees with my doctor. Brought him up to date with the new medication. 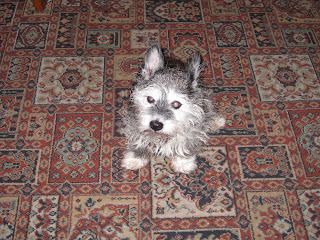 We had to take my little dog Sandy back to the vets after her finishing her antibiotics. A different vet examined her and was more concerned. She still has got an infection in her womb, so more antibiotics for her. I am quite worried about her. Next time we see the first vet so he might tell me a better verdict I do hope so. Tonight I decided to try NATRASLEEP a herbal sleep remedy I am desperate for a nights sleep so it can't do any harm, can it?! 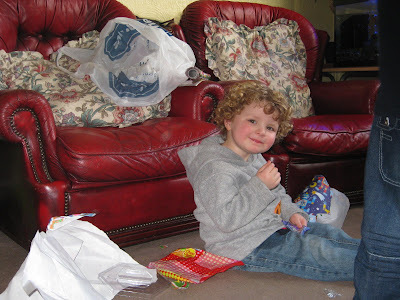 Today is my grandson Jay-Jays Birthday, he is six. 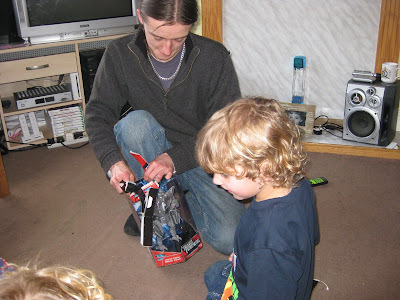 Andrew and I went round to give him the presents we have got for him, a transformer which required a degree in engineering to transform it, even for Andrew. 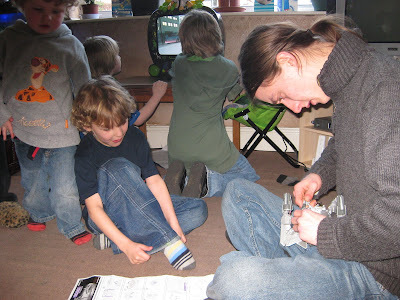 Jay-Jay liked it a lot, and children are quick learners so hopefully he will be able to do it by himself very soon . Also he received a print and colour set from Paul (husband) and myself. Andrew got him two large posters for his bedroom walls of Spiderman and other comicbook superheroes. 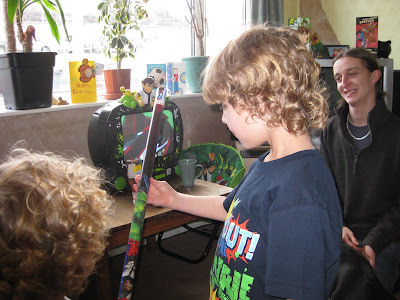 Jay-Jay in front of the BEN10 TV/DVD he received from his parents holding one of the posters. The noise from young voices getting very excited( he had three friend there as well) was a bit much for me as I already had a head ache I stopped a while and said I would see him later. 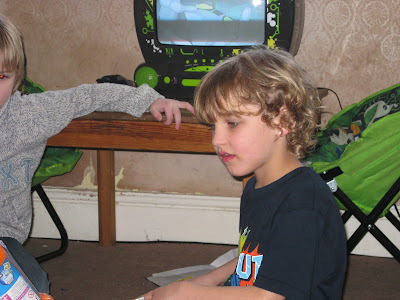 His party is tomorrow at Playzone; a kids indoor play park with ball pits and tunnels etc. Still trying to sort it out. Tommy-Lee eating the Birthday sweets. Later on that night as I was putting on my boot, my foot went into a severe spasm the worst one I have had for a while. The pain was horrendous. Sandy is very down and sore where she was examined so not her usual self. She is eating alright though. I am beginning to feel a little better, but chest is still tight. My eyes are not so sore as they were. Well that's all this time hope you are all feeling reasonable and not in too much pain.